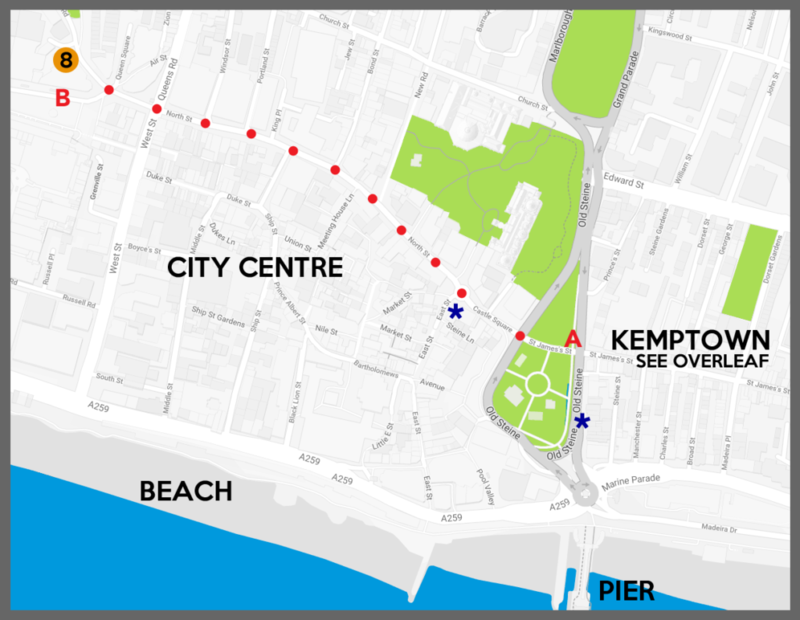 The two maps below show the locations of the venues for this year’s Brighton Bear Weekend events. Click a map to make it bigger. Click a venue’s name below for more information and a link to Google Maps. On foot (10 minutes): from Old Steine (A on map), walk west through Castle Square and straight up North Street, past the Clock Tower (500 yards). At the next intersection (by Costa), fork right up Dyke Road. The Rialto Theatre (8 on map) is just up this road, to your left. By bus: at Old Steine H bus stop (A on map), get any bus stopping at Churchill Square (B on map). Most buses stop there – ask the driver. From there, walk around the corner to the Rialto Theatre (8 on map). 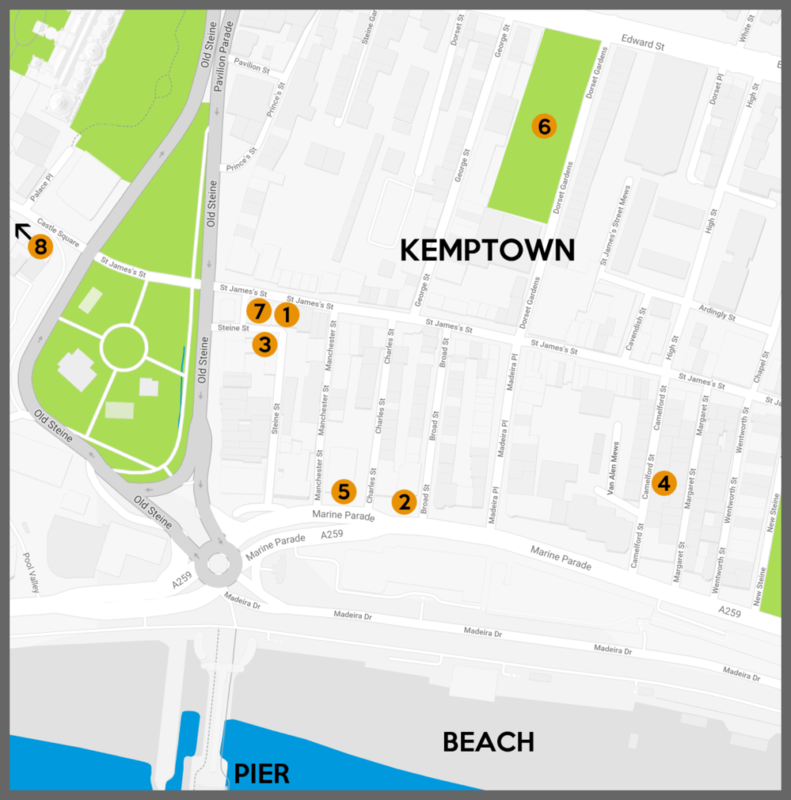 By taxi: taxis are usually available at the taxi ranks on Old Steine and East Street (* on map).